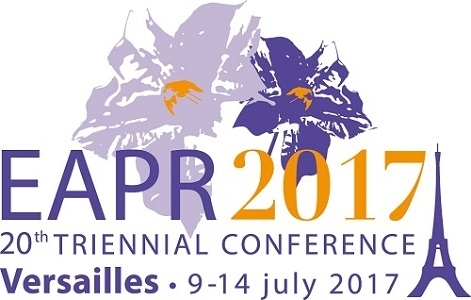 Next week, the 20th EAPR conference will take place in Versailles, France. This is a special time for potato specialists. InnoPlant will participate to this important event. Many talks and posters will be presented during the whole week of the conference. Some of them are directly related to the research program of the Joint technical Unit, track the InnoPlant icon during the sessions ! InnoPlant is also organizing a workshop entitled “Seed potatoes research challenges”. The aim is to review recent advances and concerns for the seed potato sector in order to define the main challenges for research for the improvement of the seed potato production and the regulation systems. We will dealing with Improved Seed Health (certification standards, development of HTP testing methods) with a presentation of Mrs Hanna Kortemaa (Head of seed Certification Unit, Finnish Food Safety Authority EVIRA and chair of the Seed Potato section of UNECE, the United Nations Economic Commission for Europe). Another point will be the Innovative Multiplication Schemes and their technical and regulatory issues with illustration on the experiment on True potato seed (TPS) organised at the European Union level. The workshop is organized on Tuesday July 11th from 14:00 to 16:00 in the amphitheatre Richelieu. Some information about the research program of InnoPlant and its organisation will also be given to the attendees participating the excursions in Normandie (n°4) and Haut de France/ Nord pas de Calais (n°1) during the visit of the Comité Nord facilities. We are looking forward to seeing you at the EAPR2017 conference. And after the conference on the InnoPlant website.